KOTA KINABALU: 1Borneo Hypermall, the largest mall in Sabah, was without electricity supply for the second day yesterday. 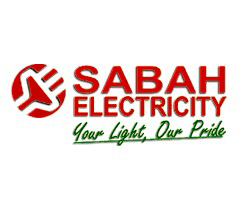 It appears that neither the 1Borneo Hypermall management nor Sabah Electricity Sdn Bhd (SESB) have come up with an agreeable concrete approach to settle the outstanding RM8.6 million arrears, thus leaving the mall tenants to be without any power supply for the second day running. However, it is learnt that SESB had only disconnected the power supply to the mall’s air-conditioning source and had not disconnected the power supply for the lightings in consideration of the employees there. Power supply to the mall was first disconnected on June 27 when the 1Borneo Hypermall management failed to settle over RM9.3 million in outstanding power supply bills. Power was, however, restored back the same day (June 27) after payment of RM700,000 was made. Two weeks later on July 11, a second power disconnection was made when the 1Borneo Hypermall management again failed to settle the outstanding balance of about RM8.6 million. Tenants at the mall have since appealed to the state government to intervene as the situation is affecting their businesses. Reportedly, the 1Borneo Hypermall management had proposed to settle the outstanding amount to SESB by making a payment of RM2 million by July 11, followed by staggered monthly payments of RM100,000 until the full settlement of all outstanding arrears. However, as of yesterday, no payment was made nor received by either parties.